Just as allergies are kicking in, it seems like everyone is getting colds too! Caring for your immune system will help reduce the severity of both colds and allergies. Take a hot Epsom Salt bath. Soaking in the hot tub functions like a fever – it heats up your body causing the viruses to die off and may boost the immune system. The steam also helps to clear your sinuses. Baths are relaxing, and when you’re relaxed, your body can prioritize immune function. I always add the Epsom salts to the bath because it’s a great way to get more magnesium (which is good for just about everything) and sulfur (which gently supports your spring detoxification). If you’re congested, you might want to add a bit of eucalyptus essential oil as well. Do a shot of water with a drop of oregano oil. This is quite potent, so don’t over do it or splash on your face. Do one drop per day until you feel better. Tea to the rescue! Lemon balm and cats claw tea are antiviral. I usually multitask with both teabags in the same mug. Throat Coat is really nice for soothing your throat, and these herbs are soothing for the rest of your digestive system! Your gut microbiome health is intimately tied to your health and immune system. So be sure to tenderly care for your microbial friends. Send them some more good guys with probiotic capsules, fermented foods, Fire Cider, Kombucha, and/or Gut Shots. Variety is fun and effective, so it’s great to have lots of options on hand. The benefits of a strong, balanced microbiome go way beyond colds and allergies. Diet to the rescue! In addition to all your fermented fun enjoy hot soups like this one and anything with lots of onions and garlic. Avoid dairy (because it increases mucous) and sugar (because it suppresses the immune system). There are many delicious plant based yogurts, cheeses, and ice creams out there now, so you don’t have to be deprived at all. 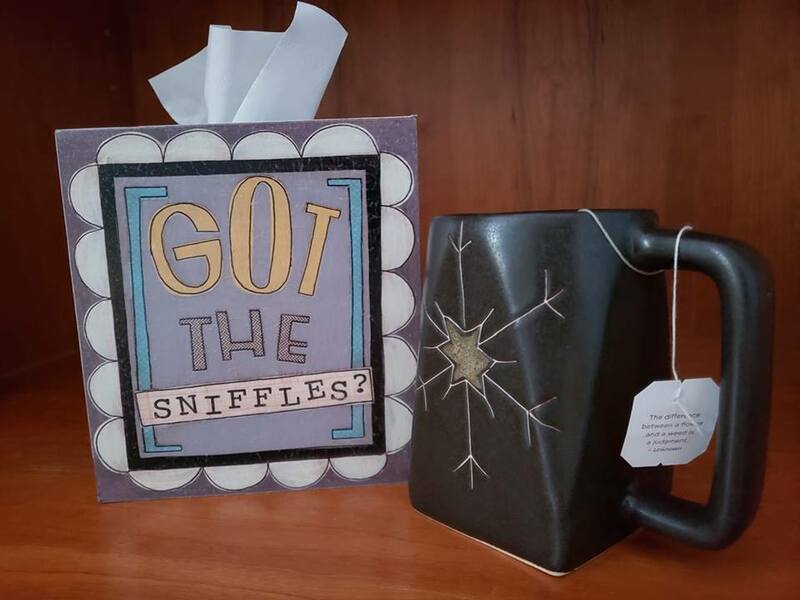 Daily use of a neti pot washes microbes and allergens from your sinuses, and also clears out accumulated mucous so you can breathe again. And all that stuff your mom told you… good quality rest, staying hydrated, and stress reduction are all vital for your immune system. In its wisdom, your body will not prioritize healing from the flu when it thinks you’re being chased by a tiger! Go to bed by 10, sip water all day, and breathe and relax, and do yoga. Just do it. A daily teaspoon of raw, local honey can help inform your immune system that pollen is not stranger danger. Quercetin is a natural antihistamine with additional antioxidant benefits. I hope you’re crushing those New Year’s Resolutions! Or moving towards your dreams in a way that makes you feel hopeful and happy. Progress, no matter how tentative, builds momentum and life force energy. There’s so much reward even in taking just one step forward. If you’re looking for a little activation energy to get started on your wellness plan, this is where our goals intersect. I LOVE helping people transform their health the natural and lasting way. I’ve dedicated decades of my life to learning how to do that through many disciplines, including traditional nutrition, holistic health coaching, functional medicine coaching, yoga, and yoga’s sister science Ayurveda. 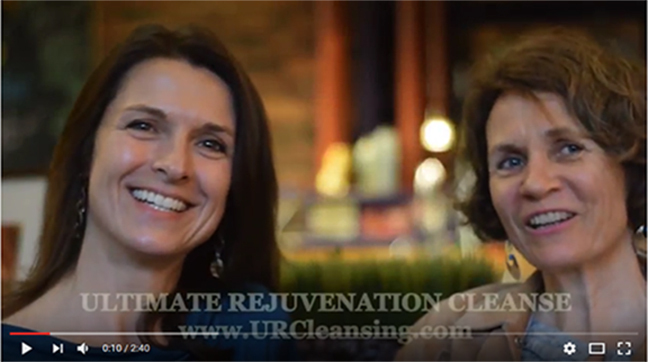 Then I poured the best combination of that knowledge and experience into The Ultimate Rejuvenation Cleanse. It is a cleanse, and so much more. In this 28-day program, you’ll cleanse out toxins, sugar addiction, and inflammation. You’ll also infuse yourself with deeply nourishing foods, habits, self care, and perspective shifts. You’ll learn experientially which foods serve your unique body and which ones don’t. All these gains will stick around, and propel you towards your goals even after the cleanse is done. This is not one of those one-dimensional, deprivation diets where you drop some pounds and gain it right back plus a few more. The goal of this program is multifaceted nourishment so your body heals, rejuvenates, and you reach your ideal weight almost as a side benefit. Additionally, you’ll cultivate fantastic energy, glowing skin, mental clarity, and profound wellness. You’ll learn a lot, get excited and inspired, discover great new things, and have expert support. The program follows a gentle, luxurious pace. Slow and steady wins the race! In the first seven days, we build a strong self care foundation before we make a single change to our diets. During the second week, we start to make a few dietary shifts towards whole, unprocessed food. The third week is the official full cleanse week, with plenty of delicious food and self care the whole time. Finally, the fourth week is when we test for food sensitivities. Often it’s those hidden sensitivities that cause pesky health issues like low energy, weight gain, brain fog, sinus and skin issues, digestive woes, etc. This is a major key to well-being that most people miss. You’ll get a content rich, inspiring email every morning, a 200+ page eBook with everything you need to know about the cleanse plus lots of bonuses, 150+ delicious cleanse friendly recipes, a Quick Start Guide that cuts to the chase, a private Facebook group to chat with me and other cleansers, a few optional live events including 2 conference calls, a shopping trip, and celebration dinner (if you’re local). If this sounds like the perfect program for you right now, let’s take that step forward together – join the cleanse today! We can also stay connected on Facebook. I bet you never heard THIS productivity secret! 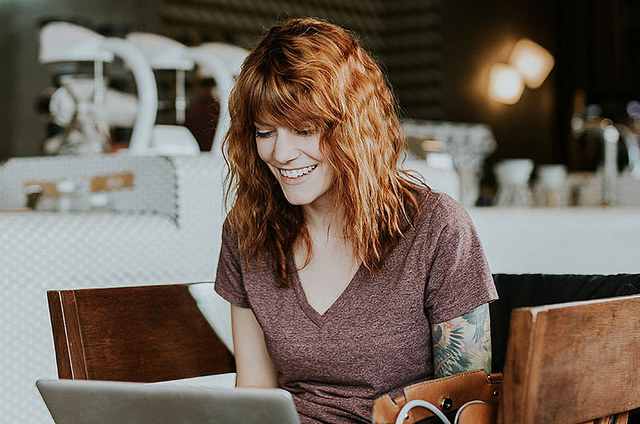 There’s so much excellent wisdom about increasing productivity that you could get seriously behind in your work researching the many ways to be productive. The books, blog posts, and TED Talks are shiny objects that I cannot resist. However, despite all the time I’ve spent unlocking the secrets to my productivity, I can’t say any of of the techniques became my permanent M.O. I suspect I’m not alone in that. I do however have a pretty awesome productivity secret of my own that my clients and I have discovered along the way. It’s a little different because it’s not about setting up systems, planning, or scheduling. It’s more about removing what is blocking your mental clarity, energy, and motivation. From your dinner plate. Surprised? If I had a dime for every client that has been truly astounded at how much more mental clarity and energy they gained by removing gluten from their diet, I’d be able to make a long distance call from a payphone. If I could find one. Here’s what one client said after being gluten free for about a month, “I got done in one hour what used to take me all day. The mental fog is totally gone.” Other clients (myself included) noticed how much less we procrastinate. Getting things done doesn’t feel like such a slog. There is more ease and less resistance. So your work gets done more efficiently, and more effectively as well. I can’t help thinking… if going gluten free can make that much of a difference in productivity for one person, imagine if a whole company did it? Whoa. Millions of us suffer from what is called “non-Celiac gluten sensitivity”. That’s when the proteins in gluten don’t necessarily cause digestive distress, but they do make you physically fatigued, mentally lethargic, and struggling with motivation. There is a whole spectrum of other conditions that glutlen sensitivity can lead to as well, from annoying to debilitating. If you’re suffering from low energy and mental fog, try removing gluten from your diet for a few weeks and see what happens. Odds are you’re going to start feeling a lot better and getting your work done like a boss. Without blood, sweat, or even coffee. Going gluten free might seem daunting at first because gluten is omnipresent in our diets. But it’s really not that difficult once you learn a few tricks. Restaurants are getting on the bandwagon and offering more and more gluten free options. Do yourself a favor by doing it the right way. Swap all that bread and pasta for nutrient dense whole grains like quinoa, brown or black rice, and other whole food starches like sweet potatoes, not highly processed gluten free white bread and pasta. We want you to get healthier too, not just more productive. And now a word from our sponsor… In my cleanse, I can show you how to go gluten free (and test for other common food sensitivities), significantly upgrade your nutrition, and get you taking better care of yourself than ever before. When you do that, your vitality, mood, and productivity skyrockets! Can we talk about Weight Loss? 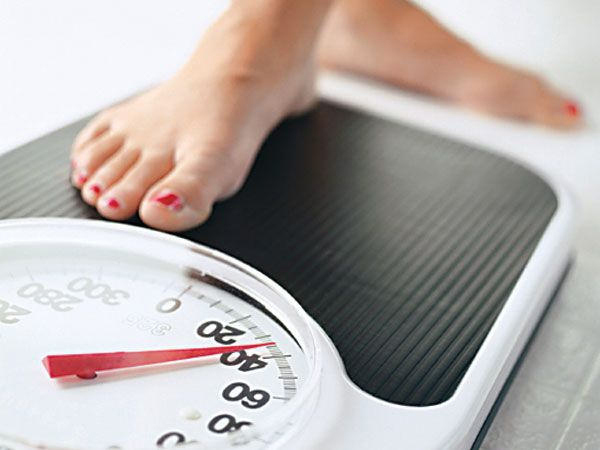 In the relentless pressure to be thin, many men and women turn to programs and products that promise rapid weight loss. Even though by now, we all know that the process will not be pleasant, it may not be healthy, and any weight loss will probably be temporary. After years and years, and millions of confirmations of this truth, maybe we should stop the pushing that boulder up the mountain over and over again (unless it’s part of our workout), and take a more permanent approach. To be effective, we need to get to the root cause of the weight issues, not just put a temporary Band Aid on it, like we so often do in our society. When we have been struggling for so long, trying a million things, reading a million blogs and books, we can lose our ability to see clearly and start focusing on wacky things. Maybe it’s not those red apples or bananas, but the late night choco-thon, as my friend Rona realized in one aha moment. Possibly you don’t need to add yet another punishing workout to your schedule, but learn to relax more. Cortisol throws a huge monkey wrench in our weight loss efforts. Perhaps more than WHAT you’re eating, WHY you’re eating is the real problem. Stress, procrastination, boredom? We need to learn better ways of dealing with those things. Of course, most of us could stand to clean up our diets a bit – eat more veggies, drink more water, have less sugar, gluten, and simple carbs, chew better, eat in a more relaxed way, spend a few hours not eating between meals, detox, … etc. All of that makes a big difference, especially when addressed in conjunction with lifestyle choices. That’s exactly what we do in our cleanse. We shine a light on all of these aspects, so they work synergistically to give you better, healthier, and more long term results than just starving yourself and doing P90X three times a day. Which, incidentally, can stress out your body and make it even harder to lose weight. In the functional medicine world, we flip the usual viewpoint upside down. Instead of focusing solely on weight loss, we see weight loss as a natural side benefit of getting healthier. Maybe this is the year to get off that torturous, ineffective hamster wheel and focus on the best way to nourish, care for, and love ourselves, and find our ideal weight the real way. The more pleasant way. The permanent way. 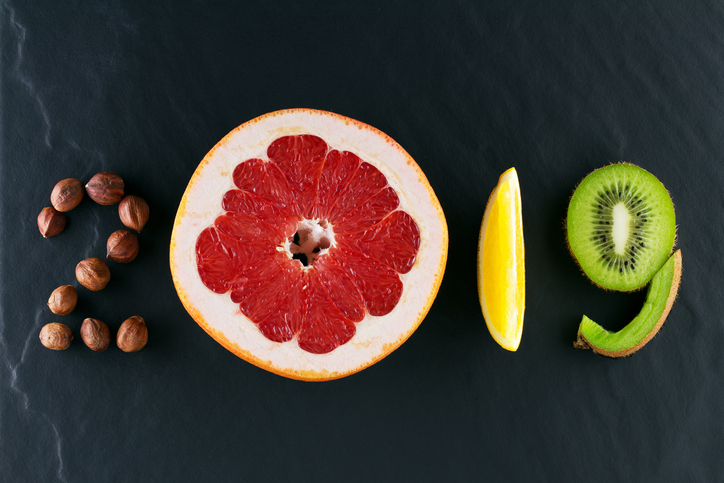 Try our cleanse this year… you’ll be so glad you did. Wishing you so much amazingness in 2019! In our quest for health and vitality, we focus so much on the “input” that we forget the importance of the “output”. We can eat this, not eat that, take all these supplements, and stay hydrated, but if we’re not pooping regularly, we’re not going to achieve the wellness we are seeking. Picture your fridge… you put all sorts of fresh veggies in the produce drawer. But if you don’t move them through there quickly enough, it’s all going to rot, make a mess and stink up the fridge, and you’re not going to benefit from all the nutrients the veggies contained. Same with your digestive system… you eat all these luscious fruits and veggies, clean protein, fiber, healthy fats, etc. If you don’t digest them well and efficiently, they will in essence rot in your gut, and all the toxins and junk your body wanted to expel will get reabsorbed into your blood stream, causing a vicious cycle of toxicity and impaired function. There’s a reason you feel a little polluted when you’re constipated. Health coaches will often ask their clients if they’re regular, and the client says oh yes, I go #2 regularly. Only later to find out that regular for that client meant once a week. No bueno! Some people have been irregular for so long they think it’s normal. 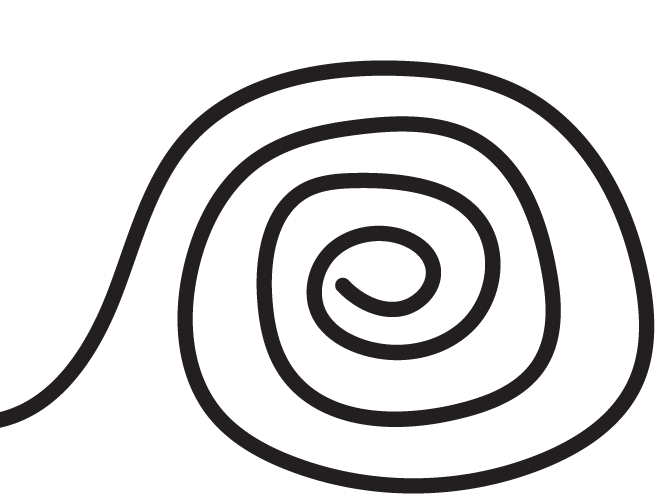 To be clear – regularity is a nice, easy, complete bowel movement every morning. There may be a sense of lightness, emptiness, and energy when you’re done. It’s okay and good to have another one later in the day too (which can happen if you’re really hydrated). Interestingly, how your poo looks can even reveal a lot about your health. Check out this handy, dandy doody chart! Low magnesium status. Magnesium is important for muscle contraction and relaxation, both of which are vital for good bowel movements. Low magnesium is unfortunately becoming more and more common as our soils are depleted of nutrients. Different forms of magnesium are helpful for different issues. Magnesium citrate is especially good for constipation (and can cause loose stools when taken in excess of your needs). Dehydration. Almost no one drinks enough water. The best way to stay hydrated is to drink a couple large glasses of room temperature water upon waking. Then sip water every half hour throughout the day. Try not to drink a lot immediately before or right after meals, so that you don’t dilute your precious digestive juices. If you fully implement these three strategies and still suffer, you may wish to schedule a consultation with Charlotte Ott, our resident constipation expert. She loves talking about poopin’! Last week, we discussed some of the ways glyphosate (the main ingredient in the herbicide Roundup) is undermining our health and how you can reduce glyphosate residues by switching to organic wheat. To take it one step further, wheat itself can be problematic for many people even without the glyphosate. 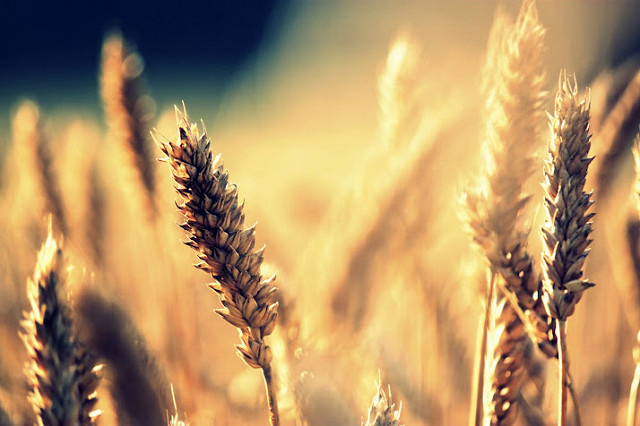 One of the most significant ways is that gluten (the protein in wheat, rye, barley, farro, and spelt), increases intestinal permeability through increasing levels of zonulin. This folks, is the origin of allergies, food sensitivities, and even autoimmune conditions, and why Functional Medicine doctors believe that all disease begins in the gut. In fact, there is a whole spectrum of gluten-related health issues documented in the medical research. A review in The New England Journal of Medicine listed fifty-five diseases that can be caused by eating gluten, covering the gamut from inflammatory bowel diseases, fatigue, cancer, autoimmune diseases, and mental health issues. Twenty million Americans suffer from a gluten-related health issue without even realizing it. They’re taking medications for their migraines, pain, anxiety, etc, but they’re just treating the symptom, not the root cause. If you don’t have Celiac disease (an autoimmune disease triggered by gluten) or suffer from other severe symptoms from gluten, we have a totally do-able, moderate approach to this gluten problem. We are big believers in the 90-10 (or 80-20) approach, where what you do most of the time determines your health outcomes, with wiggle room for a few indulgences here and there. So occasionally we’ll have some wheat, whether in a nice crusty bread, homemade banana bread, or pasta dish when we’re eating out. But 90% of the time, we choose gluten free whole grains or no grains at all. You can make ALL KINDS of delicious meals with these ideas (check out some of our recipes). You’ll not only be avoiding glyphosate and gluten, but you’ll be getting even more nutrients than if you were eating processed, refined white bread or pasta. The gluten free aisle offers a huge selection of highly processed gluten free alternatives – breads, cookies, brownies, pastas, cereals, etc. These are fine for a very occasional indulgence, but are not healthy options, even though they don’t have gluten. Because they are so processed, they are kind of like eating pure sugar, with a high glycemic index, lots of calories, and barely any nutrients. This is one of the reasons people can gain weight when going gluten free. Although bread is yummy, we were never supposed to eat it with reckless abandon at every meal. Switching over to whole food, gluten free alternatives most of the time can make you feel better in so many ways! And it’s not even that weird – and actually starts to feel pretty normal after a while. Functional Medicine, a discipline that focuses on addressing the root causes of disease (instead of treating symptoms), recognizes the gut as the starting point of so much dis-ease that we experience today, including food allergies, joint pain, autoimmunity, fatigue, inflammation, and more. These seemingly unrelated conditions can all have the same root cause – a leaky gut. It is a state of enhanced (and not in a good way) intestinal permeability. The intestine, the barrier between the outside world and our inner body, is only one cell thick. The cells are glued together by “tight junctions”, which prevent large, undigested food particles from entering the blood stream. Ideally, everything is broken down into very small components before being safely absorbed into the body. But sometimes the tight junctions get a little more permeable and allow food particles that haven’t been fully broken down to enter the blood. Not recognizing these particles, the immune system mounts a defensive reaction. Going forward, the immune system gets activated every time you eat that food. This is a very common cause of food allergies/sensitivities. This constant immune activation causes increased systemic inflammation, which can show up in the joints (causing arthritic symptoms), the skin (causing eczema, acne, psoriasis…), the brain (resulting in mental fog), metabolism (causing weight gain and low energy). It can even progress to an autoimmune dynamic, where the immune system starts attacking the body’s own tissues like the thyroid. This is just a short list! Since everything in the body is interconnected, the potential effects of a leaky gut are endless. Yes! 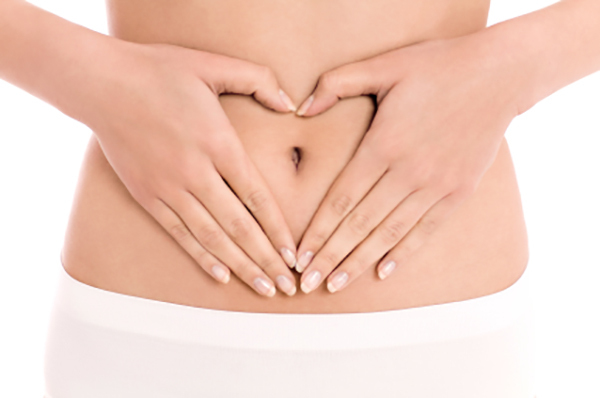 Follow the 5 R’s of gut healing. This is an order of operations that have been found to be most effective for healing. The order is important, but oftentimes the stages will overlap. The timing and exact approach will vary depending on individual circumstances. Remove what’s causing the issue – for example; foods you’re allergic or sensitive to such as gluten and dairy (this may only be necessary for a few months), toxins, stress, foods that feed undesired microbes like excess sugar, unnecessary medications. Replace what’s missing – for example; digestive enzymes, stomach acid, bile acids, adrenal/thyroid/immune support. Reinoculate – with probiotics, prebiotics, cultured foods, dietary fiber. Repair any damage to the intestinal lining – with mucilaginous herbs that soothe the digestive tract (such as slippery elm, marshmallow, and licorice) and zinc carnosine, vitamin D, potentially L-glutamine (if tolerated), and foods like okra, chia, flaxseed, artichoke, legumes, and warm vegetable broth on an empty stomach. Rebalance – long term dietary changes, stress reduction, and eating hygiene. Once you heal intestinal permeability and food intolerances, many seemingly unrelated symptoms can resolve. It’s so worth the effort! Please contact us if you would like individual guidance.